Chief business officers are fostering the construction of contemporary finance functions on their campuses to meet the myriad challenges confronting higher education. Higher education is experiencing significant disruption in an increasingly complex and demanding operating environment. In many colleges and universities, the basic business model and value proposition are under significant pressure. Scrutiny is increasing due to new delivery systems, nontraditional competitors and students, and demographic changes. Operating margins at many institutions are eroding. Public institutions must grapple with competitive forces, while state funding is stressed and declining. Moreover, small tuition-dependent institutions are struggling to brand their niche, maintain their applicant pool, and diversify revenue to stay viable. The reauthorization of the Higher Education Act, under discussion in Congress, may include changes to the bill that could negatively impact colleges and universities. And, the administration’s new tax bill poses challenges for some schools in the area of taxes on investment income, and in the higher standard tax deduction for all taxpayers, which could harm charitable contributions by lowering giving incentives. Resources are challenged; hard funding choices will need to be made. According to findings in Financial Outlook: 2018 Report for Higher Education, a report based on a recent Kaufman Hall survey, nearly half of senior finance professionals believe their institution’s current model is not sustainable. A full two-thirds of respondents say that they are not prepared to respond quickly to change, using existing tools and processes. To meet the imperatives of the changing business environment, leading chief financial and chief business officers are fostering the construction of a more contemporary finance function at their institutions. As described in this article, based on interviews with senior finance executives at six colleges and universities, the finance function shares five key characteristics: (1) an expanded leadership role; (2) the right team; (3) integrated, data-informed planning; (4) embedded accountability; and (5) seamless execution through education and communication. Their strategies for meeting the challenges in higher education point to areas of recommended focus for CFOs and CBOs nationwide. Elevated financial management starts with who’s at the table. As part of small leadership teams, several chief business officers featured in this article have assumed essential leadership oversight for the whole enterprise, not just the finance function. They partner with the president and provost to help realize the institution’s mission. Their boards of directors encourage and sanction this partnership, lending the weight of sufficient authority and structure to the CBO’s expanded role. That role includes informing and helping guide decisions, adding a strategic component to existing operating responsibilities. These chief executives actively participate in strategic visioning and decision making in collaboration with the board. At the University of Kentucky (UK), Lexington, the leadership team has actively and purposefully developed a coalition among the president, provost, and executive vice president (EVP) for finance and administration. “Meeting weekly with the president and provost to intentionally build relationships and institutional alignment is one of the most important things I do,” says EVP for Finance and Administration Eric N. Monday. All these activities elevate the CBO role from the traditional one of silo-based influencer, to a higher level and breadth of authority and impact. The sidebar, “Roles Played by Leading Chief Financial Executives,” identifies four emerging C-level responsibilities in higher education. Top-performing CBOs ensure that the right people are in the right positions, and encourage them to manage their areas of accountability. Mark Varholak, vice president for finance and CFO of Quinnipiac University, Hamden, Conn., is developing a team that will transform what was a small budget-focused unit during high-growth decades to a sophisticated budgeting, financial planning, and analytics operation that looks to provide appropriate guidance and support during periods of more moderate growth. Beginning in the 1990s, Quinnipiac University acquired or developed schools of law, education, nursing, medicine, engineering, and an online university, growing enrollment from approximately 2,000 to 10,000 students. It also achieved No. 1 ranking in average annual percentage increase in net assets from 2000 to 2010, as noted by author James L. Doti, in his article “A Vital Statistic,” in November 2013 Business Officer. In 2010, the focus of the university budget process was on a one-year operating budget. Long-range planning and analysis, while considered, were not critical. “The growth was great,” says Varholak, “but from a budget perspective, it masked inefficiencies.” For example, salary and benefits expenses had increased disproportionately to program revenue growth due to inefficiencies in the hiring approval process. To address these problems, Varholak started to integrate budgeting, planning, and analytics functions through a joint team and expanded finance framework (see sidebar, “Integrated, Data-Informed Planning”). From experience at GE Capital, he knew that “as a finance professional, I am only as good as the information technology (IT) professional standing right next to me.” He sought professionals with a diverse skill set, including computer science, mathematics, economics, and finance/accounting. This multidisciplinary team began to focus on using data to inform decision making institutionwide. The team implemented a position management plan to address the inefficiencies cited earlier, which were identified and quantified through data analysis. Through the resulting change plan, the university experienced a double-digit reduction in the annual growth rate of labor expenses, saving the university millions of dollars. The budgeting, financial planning, and analytics team is now in a position to succeed at Quinnipiac University, says Varholak. Disciplined long-range financial planning, developed and implemented by leading CBOs, ensures appropriate analysis, integration, and coordination of strategic endeavors that are securely linked to financial capability during the plan period. Long-range financial planning must be coupled with strategy development to ensure communication and understanding of a complete picture of institutional financial performance. Such integration must use the annual budget, which is based on the first year of the financial plan, as a tool to implement and achieve the institution’s multiyear strategic vision. Leading CBOs skillfully execute the multiyear financial plan and annual budget processes, managing the fundamentals with attention to key performance indicators, peer benchmarking, and best practices. This process builds and maintains credibility with institutional constituents, and creates a highly effective decision-making framework that can be used by the board and executive team. Decision makers need to know what resources are available and how resources are expected to change as the institution implements its programs. “All challenges, issues, and institutional drama emerge in the budgeting process,” comments Nicole Trufant, vice president of finance and administration, University of New England. She notes that all these items can have a big impact on the numbers, if not appropriately addressed. (Trufant describes UNE’s recent financial transformation in “Revenue Regeneration,” published in July 2016 Business Officer). In general, the more evidence, the better the decision making, but judgment also is critical, particularly with important considerations that cannot be quantified, such as effects on stakeholders, mission, or institutional culture. Eighty-seven percent of respondents to the Financial Outlook survey indicate that more insightful data into their institutions’ performance would result in better financial decisions. “Without data and analytics, a planning team is crippled. The data allow us to say, ‘Here’s what’s happening with this department or function, and here’s why that may be the case,’” says Varholak. “Planning and budgeting process improvements, using Kaufman Hall’s enterprise performance management platform, helped us to be more integrated across the university and to build a data-driven culture of transparency and accountability,” says UK’s Monday. Axiom Software, including an enrollment/tuition projection model and a long-range financial planning model, were integrated into overall financial planning activities for the university. The enrollment/tuition model informed the development of the FY18 budget. Monday expects that expanded use of the long-range financial planning model will enhance integrated planning activities across the enterprise. The creation of a long-range planning model at Tufts University derived from the desire to clearly understand and be able to communicate what resources the university had, and what the implications would be of drawing on those resources to further the academic mission, comments Thomas McGurty, vice president for finance and treasurer, Tufts University. Advanced tools and technology played a major role in the redesign of the finance structure at Tufts, where leaders consolidated budget development and management functions into a budget center for greater efficiency. “We’re about to take steps to eliminate shadow systems in several areas, which have been a legacy problem for Tufts,” says McGurty. Transparency with forecasts and the budget will improve, thereby improving data-driven decision making, notes McGurty. Tufts implemented Axiom’s grants planning model to “get our arms around the portion of our business that accounts for about 20 percent of operating activity,” says McGurty (see sidebar, “An Expanding Leadership Role”). Limited transparency had made it difficult, for example, to answer questions from board members about the financial impact of the 2013 U.S. budget sequestration, or changes across the funding plans that were committed, submitted, and/or yet-to-be proposed. Institutionwide forecasting and planning were required to understand the impact of grant flows throughout the year. Best-practice, integrated planning embeds accountability by providing individuals with the data and analytics to understand their respective businesses. Looking at key drivers or indicators on a regular basis builds buy-in to initiatives and decisions made locally and institutionwide. “Accountability is a component of transparency,” says Monday. Similar to the concept of what is measured is what gets done, what is seen and understood facilitates accountability and empowers commitment. For example, transparency can move participants from an “us-versus-them” mindset—with disproportionate focus on opaque allocations or overhead assessments—toward shared recognition of resource constraints and the need for a strong priority-setting process. Richard H. Cate, vice president for finance and treasurer, The University of Vermont, says that maintaining embedded accountability is about asking questions: “When reviewing data, I enter into conversations being respectful of those involved. I don’t need or question every piece of data, but if I do see something that doesn’t look right, I’ll be the first to ask about it.” UVM uses a responsibility-centered management (RCM) budget model, which Cate says provides an excellent means to facilitate accountability for individual budgets (see sidebar “Embedded Accountability”). Senior finance leaders spend much of their days communicating with executive leaders, managers, board members, and other institutional stakeholders, offering organizationwide transparency. “How administrative leaders carry out their jobs and interact with people is so critical,” comments McGurty of Tufts University. Similarly, UVM’s Cate describes his bidirectional role as that of a “translator.” This involves bringing information from staff members who are knowledgeable in finance to various department leaders who do not have a finance background; then program plans from these leaders are translated into financial requirements at the business plan and budget level to ensure everyone is on the same page (also see sidebar from UNE, “Seamless Execution Via Education, Communication”). Well-integrated planning and budgeting is especially suited to the collaborative nature of higher education, which typically supports open processes that solicit input from numerous stakeholders, comments Jim Henry, director of finance of Stanford University’s School of Humanities & Sciences. Skill-set building across the organization is a core focus for Henry. His team provides ongoing financial coaching and mentoring to deans and to staff in all the programs they represent. The goals are to build ownership and awareness of what planning and budgeting should be and how it is performed. “Continuous support is provided during the entire fiscal year to build those skills sets so that unit-level staff can actively manage throughout the year,” says Henry. For the deans, who typically rise through the faculty ranks and rotate frequently, academic excellence must be paired with financial expertise in order to operate their multimillion-dollar programs. CHARLES KIM is managing director of the Higher Education division; JASON H. SUSSMAN is a managing director of the Strategic and Financial Planning practice; and DAVID WOODWARD is a vice president in the Higher Education division, Kaufman Hall. Richard H. Cate, vice president for finance and treasurer, The University of Vermont. Jim Henry, director of finance, School of Humanities and Sciences, Stanford University. Thomas S. McGurty, vice president for finance and treasurer, Tufts University. Eric N. Monday, executive vice president for finance and administration, University of Kentucky. Nicole Trufant, vice president of finance and administration, University of New England. Mark Varholak, vice president for finance and chief financial officer, Quinnipiac University. Chief Transformation Officer: Envisions new business scenarios and uses a team approach to make these a reality. Chief Integration Officer: Evolves siloed financial management into an assimilated framework for integrated decision making. Chief Transparency Officer: Ensures that accessible data can “tell” the performance story and facilitate accountability. Chief Financial Education and Communications Officer: Improves institutionwide financial management through effective financial education across the enterprise. “I spend time on reputation-defining initiatives—in fact, more time on high-level administrative matters than on financial matters,” says Eric Monday, executive vice president for finance and education, University of Kentucky. The strength of UK’s finance team enables him to maintain an enterprisewide focus on such initiatives as identifying potential disruptors to the institution’s strategic plan, and approaches to address those disruptors (see sidebar, “Collaborating to Overcome Disruptive Challenges”). This effort, accomplished in conjunction with administrative leaders and trustees, has resulted in several tactical strategies—new revenues, efficiencies and effectiveness, outreach and service, and structures and staffing—the work streams of which are integrated in a more detailed financial plan to help achieve the strategic plan. Nicole Trufant, vice president of finance and administration of the University of New England (UNE), Biddeford, Maine, notes that building a finance and administrative structure enables the execution of institutional vision. “Our financial model must have the flexibility and nimbleness to allow us to try new things and invest in new areas to support the strategic plan,” she says. At Tufts University, Medford, Mass., Thomas McGurty, vice president of finance and treasurer, is part of an executive budget committee, along with the president, provost, and EVP, that works toward clarity and direction on how the university’s financial goals should intersect its educational business objectives. “We need to feel confident that we’re not going to get out over the tips of our skis. This requires making resources available for the university’s agenda in a fiscally responsible way that doesn’t overly constrain the institution,” says McGurty. 30,000+ undergraduate and graduate students. College of medicine and academic medical center, UK HealthCare. Higher education is at a tipping point in understanding and experiencing disruption. UK’s president—Eli Capilouto—was a catalyst in engaging the leadership team to identify our challenges and think differently and more aggressively about what the university does now and what it may need and want to do in the future. Growing enrollment by specifically targeting not only first-time freshmen, but also adult learners through expanded options to complete degrees. Diversifying academic program options, including increased online course offerings, accelerated professional degree programs, and targeted summer enrollment strategies. Achieving strategic cost reduction through procure-to-pay implementation. Implementing a voluntary carbon reduction program using existing forest land owned by the university. Five workgroups were chartered to work on the initiatives over a six-week period, with a larger group effort beginning in the next quarter. Additionally, a team developed an enterprise risk management protocol and identified 20 top risks, including public safety/security, cybersecurity, unplanned service disruption, and international programs/travel. These risks now are “owned” through mitigation plans developed and implemented for each. ERIC N. MONDAY is executive vice president for finance and administration at the University of Kentucky. Private university in Hamden and North Haven, Conn.
More than 100 programs (eight professional schools; College of Arts & Sciences). 1,350 full-time employees; 400+ full-time faculty. Challenge: In the early 2010s, the university’s departments functioned as silos, with nonintegrated planning and nonstandardized reporting across the institution. Staff aggregated data for modeling, planning, and reporting purposes using spreadsheets, which was problematic for desired analytics and reporting. With plans to stabilize revenue and enrollment growth, the university would need to ensure the best-possible strategic decisions about investments and cost-improvement opportunities going forward. These should be based on solid data and analytics. Solution: The university put in place an Operational Excellence initiative to integrate all the financial planning processes, moving from a one-year to a multiyear plan, and next integrating a capital plan, operational plan, and labor plan. The integration effort required a flexible software platform that could handle the modeling that would be needed, and a breadth of reporting capabilities for dashboards and other visually enhanced reports for senior management and the board. After consideration of numerous firms, a partnership with Kaufman Hall Axiom Software ensued to develop and implement planning and budgeting approaches uniquely suited to the university. Integrated planning enabled a more strategic look for the university going forward. This fortuitously coincided with the board’s request for a longer-term financial view of the university and its competitive landscape, given the retirement of the university’s president in June 2018. Results: All the pieces of the puzzle are starting to fall into place and yield positive results. For example, with data and metrics, the controller’s team was able to pinpoint the most-advantageous timing to refinance the university’s $500 million debt portfolio. Regular monitoring of relevant data using a chart that plotted fixed and variable-rate debt indicators in the taxable and tax-exempt markets enabled identification of the right moment to refinance, saving the university millions of dollars of debt service payments. Going from a small budget team to a sophisticated financial planning and analytics operation, capable of showing the impact of data enterprisewide, is not an overnight process. The university has been working on this for three years. Pieces of the process, such as data standardization, will involve continuous effort going forward. MARK VARHOLAK is vice president for finance and CFO, at Quinnipiac University. 5,500 undergraduates; approximately 6,000 graduate students and professionals. Approximately $900 million operating expenses. Today’s CFOs must be able to connect the dots in comprehending how all university functions relate. Understanding and supporting the intersection of finance functions and institutional goals and direction are critical. Effective communication from CFOs and their teams creates confidence among stakeholders that the team is working to align objectives. The contemporary CFO creatively tries to find ways to get to “yes” through partnering with the leadership teams. He or she brings to this creative process knowledge of, and learning from, best practices in peer institutions and outside the industry, as appropriate. Also important is a firm commitment to leverage technology and to integrate data and planning for processes such as labor, budgeting, forecasting, and grants planning. Past expectations of the functional competency of CFOs should be maintained, but finance competency alone is not sufficient. Today’s effective senior finance executives have the leadership and communication competencies for a broader role working across the university. THOMAS S. MCGURTY is vice president for finance and treasurer, Tufts University. A public research university located in Burlington. FY18 budget of $669 million. Implemented responsibility-centered management (RCM) in July 2015. Enrollment: 10,500 undergraduates; and 1,900 graduate and medical students. 1,550 full- and part-time faculty. Challenge: In 2013, UVM’s budgeting system was not meeting the diverse needs of the campus community. The university wanted to improve financial decision making by better integrating planning and reporting, and making financial information more transparent, accessible, and consistent. The goal: support the university’s more than 200 users and increase accountability. Solutions: Throughout its history, UVM has used a centralized budgeting system, which provided departmental units with incremental spending increases over what they received in the previous year, irrespective of the amount of revenue they generated. In 2015, the university moved to an incentive-based budgeting model—responsibility-center management (RCM). Deliberations took two years, because finance staff needed to educate people—who never had been engaged in finance—about how RCM works. RCM provides financial incentives to unit leaders to develop new revenue sources and actively manage their costs. Tuition and revenue-generating units keep much or all the indirect cost-recovery revenues and dollars from new revenue sources. When people are responsible for their own costs, they feel the impact of their spending and pay much more attention to it. The following year, UVM implemented an integrated financial management process, which Kaufman Hall automated through a new platform for financial reporting, multiyear budgeting, and multiyear salary planning. The university also modified single-year salary planning and budgeting processes, improving their usability. Results: Finance staff and managers institutionwide are able to improve strategic, operational, and financial decisions by looking at the data to quantify and understand a problem and the options available to solve it. The introduction of a system solution for strategic financial planning, that placed RCM in the context of the university’s overall resource risks and opportunities, led to informed decisions and accountability for those decisions. Embedded accountability is about asking questions, not trying to place blame, but using available data to enter into a conversation about the right thing to do. RICHARD H. CATE is vice president for finance and treasurer at The University of Vermont. A private, nonprofit university founded in 1831. Campuses in Biddeford and Portland, Maine, and Tangier, Morocco. Approximately 14,000 students in post-baccalaureate, undergraduate, and graduate programs. Six colleges with more than 70 undergraduate, graduate, online, and professional programs. 48 percent online students; 52 percent on-campus. Significant strengthening of credit quality during last decade, with first-time debt ratings of A3 by Moody’s Investors Service and A- from Fitch Ratings in February 2017. Use of referent leadership can bridge these gaps. This style of leadership involves building trust and respect to facilitate education and influence the change in decision-making behavior that needs to occur for financial success. The keys are to identify and enable individuals who, highly respected and trusted by others, can influence change even if those individuals may not have direct authority for that change. Essentially, it’s “leading from the middle,” which can require more patience than other leadership approaches. For example, one finance director, who has been at the university for a long time and knows the numbers, is able to express her opinion of new initiatives and influence behavior in meetings with senior executives and deans. Similarly, another employee, whose work is considered impeccable, has such a strong reputation that just the fact that he “did the numbers” influences behavior, so he is present at relevant meetings. There’s a different dynamic with referent leadership: It’s based on asking questions, instead of being confrontational. If an initiative doesn’t make sense, a referent leader asks questions like: “How does this work?” and “Help me understand how you developed these numbers?” This approach advances education as the conversation progresses. NICOLE TRUFANT is vice president of finance and administration at the University of New England. A private research university in Stanford, Calif.
7,000 undergraduates; 9,000 graduates; 2,200 faculty. Challenges: Stanford’s School of Humanities and Sciences (H&S) encompasses 23 diverse departments and 70 interdisciplinary programs and centers. Ranging from art to mathematics, and undergraduate programs to masters and doctorate programs, they differ in size, staffing, and complexity. Financial understanding in the budget units varies widely, and, in some cases, is limited. Service terms for deans mean frequent rotations of academics who may not be financial experts, yet may be responsible for a business with revenue of hundreds of millions of dollars. The finance team for H&S performs budgeting, forecasting, decision support, and analysis in collaboration with 100 budget units, and is the link to the central finance organization. A 2010 survey of budgeting challenges, put a spotlight on graduate aid, which totaled a significant 20 percent of overall expense across 23 budget units, but was inadequately managed. 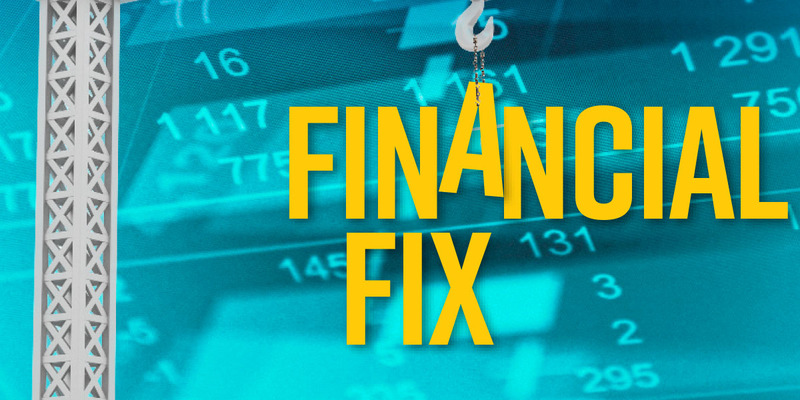 Solutions: A key goal of the finance team is to improve financial management throughout H&S. The team mentors the school’s administrators and enhances abilities and skill sets at the department and budget-unit level. This training and outreach engages stakeholders in the budget process and increases overall institutional buy-in. Education occurs through finance team liaisons assigned to a specific group of departments to help them through the budgeting process, year-end close, and long-range forecasting. Two improvement strategies emerging from the 2010 survey and based on Axiom Software, were implementation of (1) the Graduate Forecasting and Planning System (GFPS) and (2) a budget planning system in all units to replace Excel templates with an intuitive system for both finance and nonfinance users. Results: Offering multiyear forecasting, GFPS was a game changer. It moved decision making from a one-year perspective defined by the fiscal calendar to a five-year perspective that aligned with the length of graduate student support commitments. GFPS supported the forecasting of financial inputs impacting the bottom line: cohort size, support packages, and internal/external funding trends. Seeing the interplay of these factors across multiple years shifted decision making from a near-term view to an informed, strategic, and multiyear perspective. Fundamental changes in how people were managing graduate aid started to occur, as did better decision making and greater ownership of the business. With this success in H&S, GFPS is being implemented across four other Stanford schools. With implementation of the system, the budget has become an active management tool. Its transparent and intuitive approach results in better forecasts and greater ownership. Staff can convey a financial narrative to tell the story of the financial impact of options and decisions. Improved finance education and communication is helping to yield informed decisions that are financially sustainable. JIM HENRY is director of finance, School of Humanities and Sciences, Stanford University.